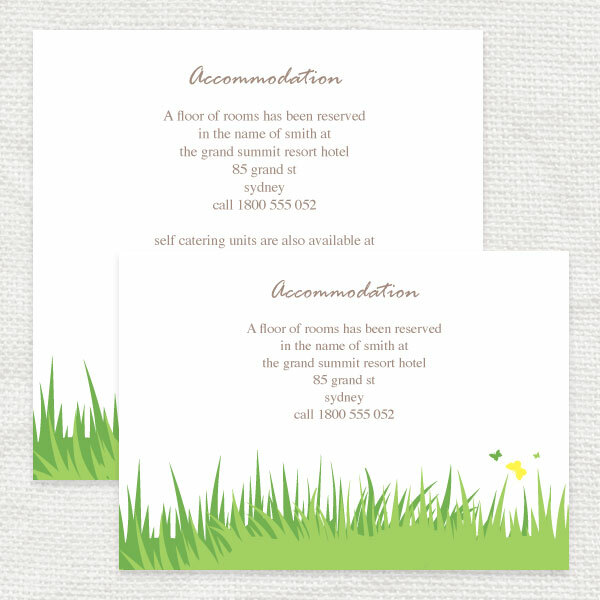 This month we're looking at a garden fete wedding, so we designed a garden fete stationery range to match! 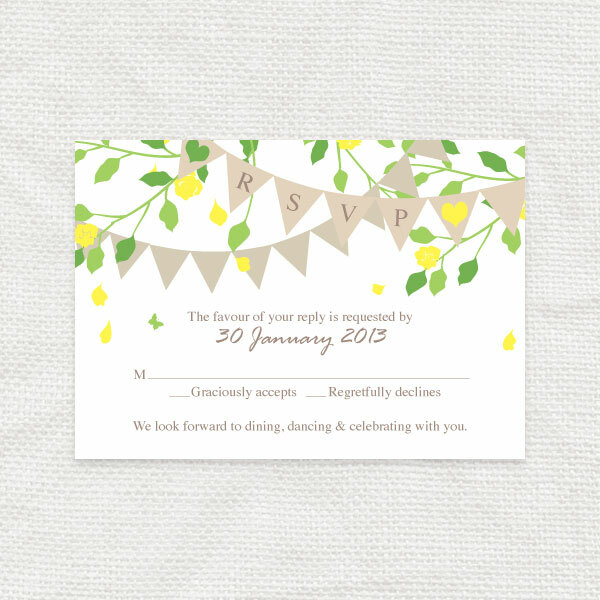 Prefect for a spring or outdoor celebration. 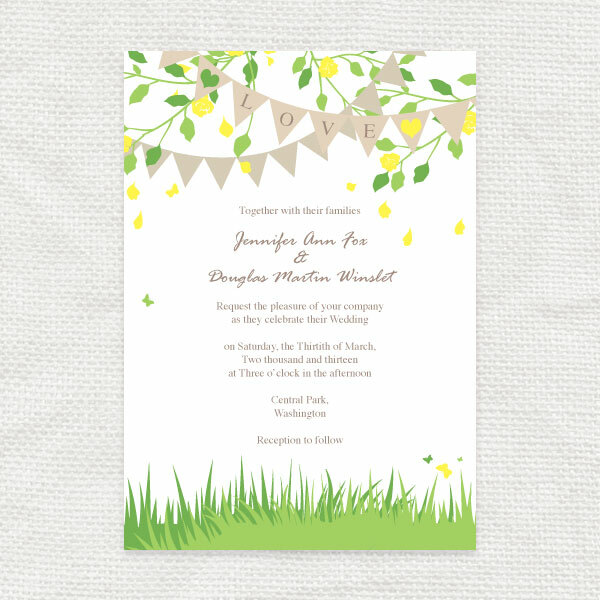 With words hanging from the bunting, surrounded by leaves, blossoms and a scattering of butterflies.